The Upper Nile newspaper reported that the White Army killed 400 South Sudanese troops, 16 Egyptians and four Ugandans. It also reported that 12 Egyptian soldiers and two Ugandans who lost their way were captured. 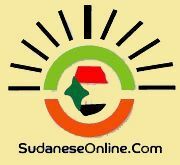 A Sudanese newspaper reported on Friday that 16 Egyptian soldiers were killed fighting with the South Sudanese army who were attempting to retake Ayod city in the state of Jonglei. The fighting in Ayod broke out between the White Army - a rebel movement fighting troops loyal to the government - and the official South Sudanese army, which is supported by Egyptian and Ugandan troops. Initially the South Sudanese army defeated the White Army, but reinforcement arrived from Duk and they were defeated. Theandnbsp;Upper Nileandnbsp;newspaper reported that the White Army killed 400 South Sudanese troops, 16 Egyptians and four Ugandans. It also reported that 12 Egyptian soldiers and two Ugandans who lost their way were captured. According to the newspaper, the Egyptian army are being kept in a safe place. No Egyptian comment on this news has emerged yet.